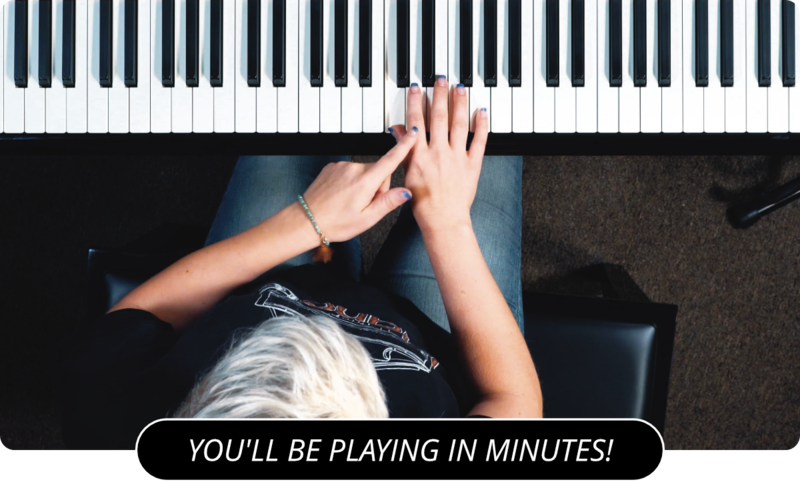 Learn How To Use Piano Intervals In This Piano Lesson! Today I want to talk about intervals. What is an interval, you ask? An interval is the space between two notes. Let's take a look at the C Major scale to illustrate what I mean. The distance between the C and the D in the C Major scale is a second. D is the second note in the scale. Follow same logic and you'll find that C to E is a third, C to F is a fourth, C to G is a fifth, C to A is a sixth, C to B is a seventh, and C to the next C is an eighth. An interval of an eighth is also called an octave. Now you know all of the major intervals of the C Major scale, but what about the sharps and the flats? Let's take a look at those intervals now. I said previously that the interval between the C and the D is a second. Let's take that a step further and call it a major second. If you look at the keyboard, you'll realize that there is a black key in between the C and the D keys, the D flat key. This interval is not quite a full, or major second, so we call it a minor second. The same goes for the interval between C and E. There is a black key right before the E key. If the E key is a major third, we can call the black key directly before it, the E flat key, the minor third. Ok, so I've told you what happens when we go down a partial interval. What happens when the black key goes up a partial interval? This very thing happens at the G key. The interval between C and G is a fourth. The G sharp key is what we call an augmented fourth. Augmented simply means that it is slightly above a perfect fourth. That same key can also be called a diminished fifth. This is because the note is just as close the the perfect fifth as it is to the perfect fourth. In the case of the fifth, the note is lower than perfect, or diminished. This logic can be applied all the way throughout the scale. The A flat key is a minor sixth right before the major sixth made by the A key. The A flat key can also be called an augmented fifth, because it is right after the perfect fifth. If the interval between C and B is a major seventh, it stand to reason that the interval between C to B flat is a minor seventh. This can all seem a bit overwhelming at first, and I'll go into more depth with it in later lessons. For now, I strongly encourage you to re-watch the video or re-read the text as much as necessary to get at least a basic grasp on intervals. Intervals are not only very important building blocks of chords, but a greater knowledge of intervals and how they relate to one another will have a profound impact on your ability to create melodies or play them by ear. Next, you can further your understanding of piano rests .